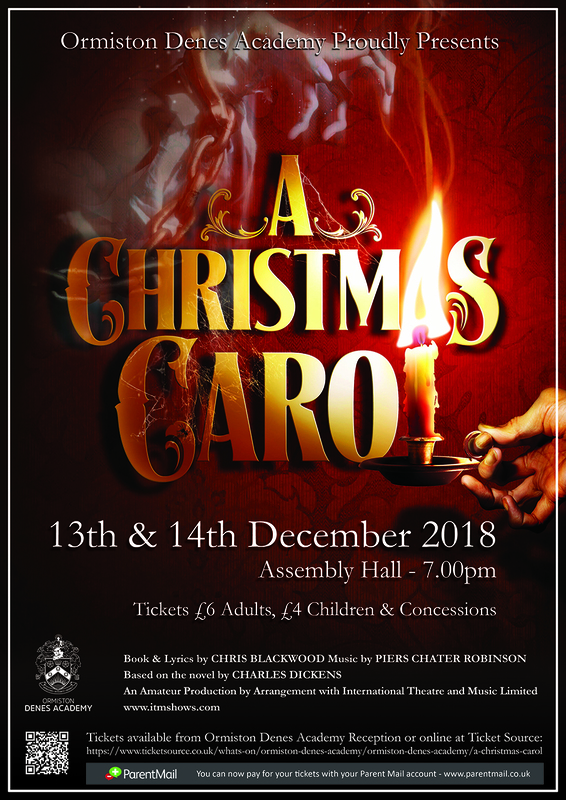 On 13th and 14th December 2018 Ormiston Denes Academy will be presenting a performance of Charles Dickens’ A Christmas Carol. Performances will be held in the Assembly Hall at 7.00pm, and tickets will cost £6 for adults and £4 for children and concessions. Tickets are available from Academy Reception, or online from the TicketSource website, here.